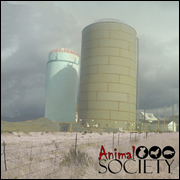 Animal Society was formed in October 2008 by Matt Roy, Erik Trabert, and Ric Albano. Matt and Ric had been jamming together for several months with Matt on drums and Ric on keyboards, but soon found this arrangement was very limited in potential and scope. So Erik, a co-worker, was asked to come to one of their “jam” sessions to see if they could come with anything interesting. They did and the band was born. The name Animal Society stemmed from an argument between Ric and Matt over whether, in fact, animals (non-human) could actually form a society. Although the argument was never settled, the name stuck. In those earliest days, the band worked on covers from such classic rock staples as Led Zeppelin, The Who, Rush, The Kinks, The Animals, and Pink Floyd, as they were each big fans of this genre. On the flip side, the band also played covers of more non-conventional acts such as Widespread Panic, Cheap Trick, Men at Work, The White Stripes, and Emerson, Lake, & Palmer. This reflected the deep diversity within band that would grow over time to make Animal Society a very unique and interesting group. This diversity is present on several different levels within the band. In musical background, Erik and Matt had a bit of structured and formal training, while Ric is nearly 100% self-taught. In age, there is now currently a member of the band in his twenties, his thirties, and his forties. And then there’s politics – Ric is fairly conservative, while Matt is fairly liberal, and Erik, well, he believes that politics itself is an evil concept planted in our minds by a sinister galactic overlord. With this diverse selection of cover songs and the difficult vocals styles of favored bands such as Rush and Zeppelin, the band sought a fourth potential member to provide lead vocals as well as additional instrumentation. But, as time went by, no one suitable for these duties was found and the band eventually decided to continue as a trio, which meant cutting back on some of the more ambitious covers. Also, after several months of working on covers, the band decided to start working on originals. The first of these were some adaptations of Imaginary Lines songs, such as “Tommy’s Got a Gun”, as Ric was still working on that project through 2008 and 2009. Eventually, though, it was agreed among the band that they would find their own distinct sound for Animal Society and develop exclusive originals. This process was slow at first, as each member came in with ideas, hooks, riffs, and, beats and matching these together into a cohesive composition was initially difficult. In June, 2009, the band completed its first song, “California”, built from a bass/drum riff by Ric and Matt, a chorus by Erik, a mid-section anchored by Matt’s frantic drumbeat and Erik’s psychedelic-surf guitar lead, and lyrics by Ric. It was a true collaboration that was interesting and unique and a preview of many other Animal Society songs that were composed in 2009 and 2010. Animal Society’s first public performance was on July 18, 2009 in Zion Grove, PA at a graduation party for Ric’s eldest son. The gig consisted of two sets made mostly of cover songs along with “California” and a few original “jams”. At the request of Ric, the band rehearsed and performed several songs just for this special occasion, including songs by Oasis, Stealers Wheel, and The Doors. Later that summer, on August 22nd, the band played the “No Regrets” benefit at Gullifty’s Underground in Camp Hill, Pa. This would prove to be the first of several benefit shows that the band would donate their talents to, including Dollars for Diane 33 in Wilkes-Barre, Pa in January, 2010 and Sound Off for Vets in Harrisburg, Pa. in June, 2010. After composing new material through much of the winter (2009-10), the band went to Saturation Acres recording studio on the first day of spring, March 20, 2010, to record their debut album with legendary music man, Bret Alexander. 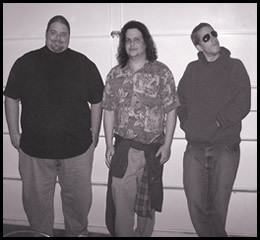 In a single, exhausting day, the band recorded ten original songs from scratch, nine of which would be included on the Animal Society’s debut album, Any Atomic Lies. Originally scheduled to be released in the Fall of 2010, internal disagreements ensued and the project was halted before publication and Animal Society disbanded in late 2010. Cygnus Wave published the mixes of the songs as they were in December 2010, presented as the eponymous album Animal Society. This album contains a diverse selection of truly original songs that cross the boundaries from rock to pop to folk to country to jazz to funk to some things that are just not easily categorized. Tagged Animal Society Songs, Harrisburg PA, Ric Albano, Songs from 2006, Songs from 2009, Songs from 2010, Songs Written by Animal Society.